As per the information furnished by the officials of West Bengal Council of Higher Secondary Education (WBCHSE), the West Bengal Higher Secondary Result 2014 is expected to be declared today on 30 May 2014 at around 10 AM. Students who appeared for the Class 12 exams in West Bengal this year need not to stress anymore over the results. Be calm, and get ready to check the result that is going to be declared on the official site of WBCHSE. Students can also check their results by clicking on the link: https://www.jagranjosh.com/results/2014-wbchse-hs-12th-52001. At this link, students will get to know their respective results in the most convenient way. 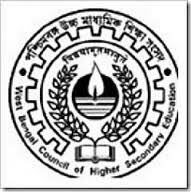 The West Bengal HSC Examination 2014 was conducted by the West Bengal Council of Higher Secondary Education from 12 March 2014 to 28 March 2014. The West Bengal Higher Secondary Result in 2013 was announced on 03 June 2013 at around 11:00 AM. Incepted in the year 1951, the West Bengal Council of Higher Secondary Education (WBCHSE) is an autonomous examining authority in the state, which is administered by West Bengal state government. The board operates its functions from its headquarter at Park Street in Kolkata. More than 10 lakh candidates appear for the board examinations conducted by the WBCHSE every year. The team at jagranjosh.com wishes all the very best to all the students who appeared in the West Bengal Higher Secondary Result 2014.